Aliaa El Gready is an Egyptian visual artist whose work varies from installation to video installation to painting and jewellery. Aliaa’s work tries to open a space for re-thinking about the inputs and the postulates which creates the form of the contemporary relations between human beings. Aliaa has been working also on using art as an introduction to social transformation since 1998. In 2000, she co-founded GudranAssociation for Art and Development with the artist Sameh Elhalawany. 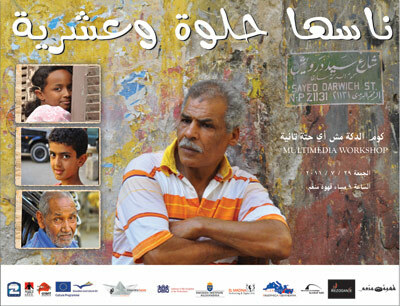 She has participated in the"street multimedia theatre workshop" in July 2011 in Alexandria.